Many of you are aware that on Aug. 31st we had a celebration to honor Brisan which normally would have been a big shindig for his birthday. Instead we had food, live music, and a “drive” for donations of Kleenex boxes to honor him. 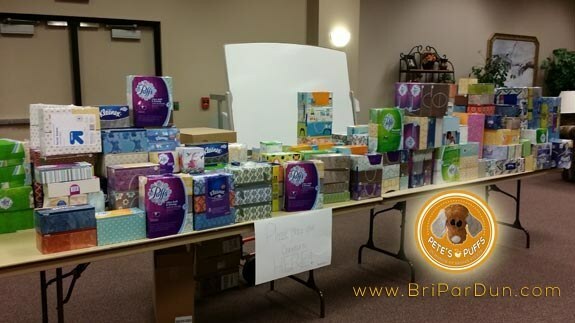 Our goal was 250 boxes to give to Children's Mercy Hospital to help get rid of the sandpaper we had to use during Brisan's homecoming March 3-4th. As Jennifer had stated, “No one should have to use sandpaper to wipe their nose after their kid dies”.